Open since December 2009 in the 9th, square Montholon, "Piccola Toscana" as the name suggests is a small enclave in the heart of Paris that offers products directly from Tuscany. Sausages, salted pork, salami, coppa, fennel sausage, pepper pecorino, peppers pecorino, pecorino ash, and pecorino truffles are all Tuscan specialties offered here. Half grocery store, half restaurant with some double tables and a table d'hôtes that can accommodate a dozen guests in a rustic setting, the atmosphere is friendly and family. A simple card, no pizzas, as dishes, 3 are fixed (parmigiana, porchetta and Lasagna) and 3 others (dish of the day, pasta of the chef and Lasagna with the cream of black truffles) vary according to the arrivals of fresh products. We start with the vegetarian (13 €), a very good and hearty assortment of grilled vegetables accompanied by arugula, and the Livornese (17 €), a seafood salad made of squid, octopus, shrimp and mussels. This one, in spite of its fresh and summery taste, leaves us a little skeptical as for the origin and the freshness of the calamari. To follow, as dishes, we could taste the parmigiana, au gratin aubergines mozzarella, parmesan and tomatoes (15 €), which reconciles us with the chef: lighter than in the south of Italy, this Tuscan parmigiana presents a more balanced blend of flavors that highlights the taste of eggplant. The porchetta (19 €), roasted suckling pig with spices, exists with variants in different regions and cities of the Peninsula. In Tuscany it is a typical dish of the day of the feast of saints Lucilla and Flora of the city of Santa Fiora, in the south of Tuscany. 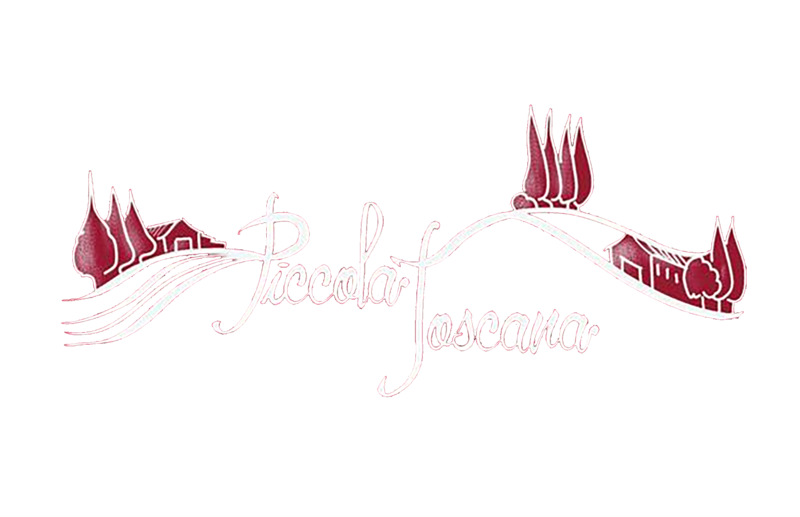 Piccola Toscana offers it with accompaniments to choose from. With white beans, Tuscan style, the porchetta is exquisite. However, we do not appreciate that the restaurant also offers pasta, which gives chills to all Italian. Lasagna with black truffle cream (€ 23) is stuffed with black truffle cream, cottage cheese, mozzarella and parmesan cheese. He ghiotto toscano, assortment of traditional biscuits and vino santo (12 €) is particularly disappointing. Two cantuccini, and not the best, two micro portions of panforte, an industrial ricciarello and an amaretto, which is not Tuscan and which is also industrial, too, accompanied by a tiny glass of wine santo (average quality ) ... the 12 € are totally unjustified. If you want to stay in the land of Tuscany, water your meal with a Morellino di Scansano Poggio Moreto (25 €), very good and not particularly expensive. Prices still reasonable at noon, become discouraging at night. The same dishes, in the same quantities, increase incomprehensibly from 1 to 2 € for the evening meal. A takeaway service is also offered with 15% discount on the price of the card. Themed evenings are organized on Monday evenings: language and cooking classes, concerts and poetry recitals, but also aperitifs after work.